The recent tragedy in Chile, and the second devastating earthquake to hit this hemisphere in as many months, keeps our attention turned to our southern neighbors. (See also this recent "on this day" noting the anniversary of Pinochet's release.) We thus welcome Dr. Alexandra Huneeus (left) as today's guest blogger. In her guest post below, she discusses her research on human rights litigation in Chile. As Assistant Professor of Law and Legal Studies at University of Wisconsin, Madison, Alex teaches public international law, sociology of law, human rights, and Latin American courts and politics. 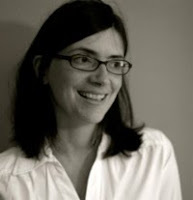 Her research focuses on politics, courts and human rights in Latin America. Before joining the UW faculty in 2007, Alex was a fellow at Stanford University's Center on Democracy, Development and the Rule of Law. She received her Ph.D. (2006) and her J.D. (2001) from the University of California, Berkeley. Alex is the editor (with Javier Couso and Rachel Sieder), of Cultures of Legality: Judicialization and Political Activism in Latin America (Cambridge University Press, forthcoming). Her article Judging from a Guilty Conscience: The Chilean Judiciary's Human Rights Turn (Law and Social Inquiry 2010) forms part of an ongoing inquiry into the prosecution of Pinochet-era crimes. She is also working on a project that examines the relationship of the Inter-American Court of Human Rights and national courts. Alex is on the Board of the Law and Society Association, and is committed to the inter-disciplinary, empirical study of law. As a fellow at the International Human Rights Clinic at Berkeley Law in 2004, she supervised students bringing a case before the Inter-American Court of Human Rights. She also worked on the case against Augusto Pinochet in Chile and Spain, through the Center for Justice and Accountability in San Francisco. Prior to her turn to law, Alex worked as an editor and journalist in Santiago, Chile, and in San Francisco, writing for The San Francisco Chronicle, Business Week, El Mercurio, AmericaEconomia and Wired News. 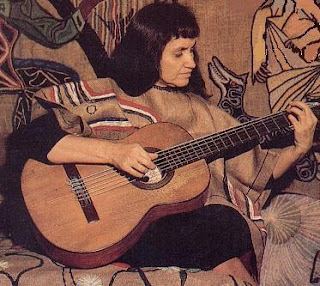 Alex's IntLawGrrls foremother is Violeta Parra (left), the great Chilean composer and singer who wrote Gracias a La Vida. Parra wrote a song commemorating the 1960 earthquake in Chile (which is to this day the strongest earthquake on record) entitled Puerto Montt is Trembling (or "Shaking"). Alex chooses Parra in solidarity with the victims of the recent earthquake and because she devoted her music to understanding Chilean folk traditions and was from the South, so hardstruck by the earthquake this week. Go On! "All in the Family?" Can Exploitively Low-Pay Jobs Help Haiti? Therapeutic Abortion In Nicaragua, cont. Read On! Half the Sky: Half the Story? Will Aid be the Death of Haiti? Happy 3d birthday to us! Again.